Established in 1988 by 40 coffee farmers, ASOCHAJUL has grown to a membership of over 1,500 coffee producers. Through its long history, the cooperative has remained committed to enacting a worldview informed by its members' Mayan heritage, including a reverence for the natural world, environmentally responsible organic growing processes, and a policy of peace-keeping known as "working the land without violence." Cooperative Coffees was among the first of ASOCHAJUL's US exports of fair trade organic coffee. At minimum, 10% of profits received by ASOCHAJUL are invested in community projects. To date, the organization has invested in developing other product markets for its members, including production of cardamom, cheese, honey, and handicrafts to diversify income opportunities for its members. ASOCHAJUL developed an eco-lodge called "La Posada." Run by members and local youth, it is supporting agritourism to the region. 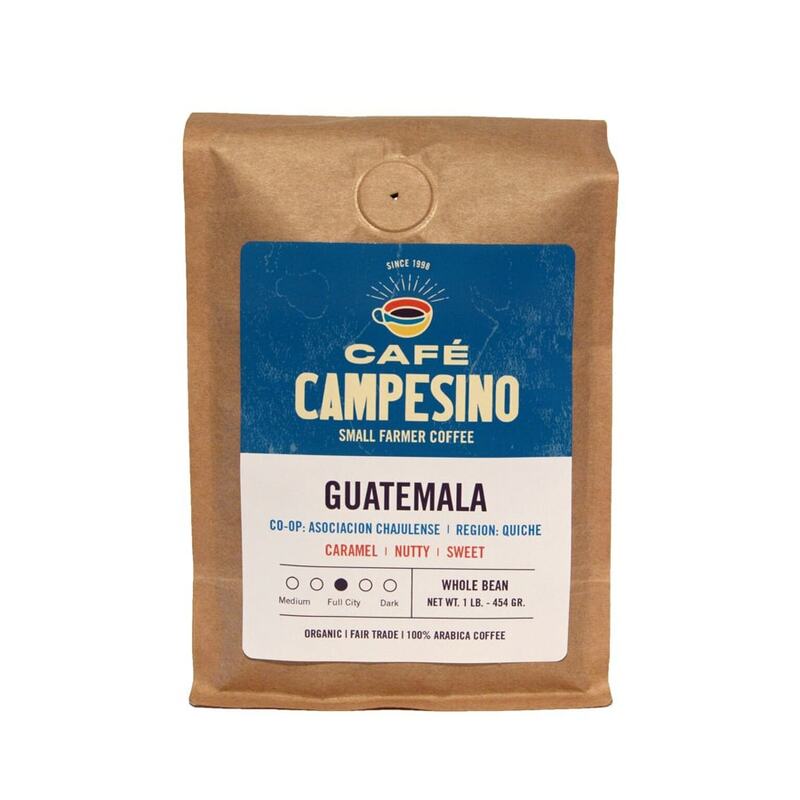 Located within the Ixil triangle and Chucutumanes in the northern part of Guatemala's Quiché department, ASOCHAJUL's growers cultivate coffee at altitudes ranging between 1,100 and 1,800 meters above sea level. Farmers produce Caturra, Catuai and Bourbon varieties of Arabica coffee through certified Fair Trade and organic agricultural techniques. Harvest generally takes place between from January to June, depending on elevation and variety. After picking, coffee cherries are wet processed and sun dried on cement patios.